We caught up with Harry Grover, the man behind Common Man Coffee Roasters, to find out what it takes to thrive in Singapore’s highly competitive F&B industry. Harry Grover is the man behind Common Man Coffee Roasters, a specialty coffee roaster, wholesaler, café and academy, on Martin Road in River Valley. Similarly, starting up in Singapore, he says, was never planned, more a manifestation of “fate and good luck.” On a trip here visiting family, he met the owners of Spa Esprit Group, a homegrown brand whose portfolio spans across beauty and F&B and includes Browhaus and Skinny Pizza. They ended up talking about the third wave coffee movement around the world – initially for hours, and later, as they kept up their correspondence, for months, until he moved over for good in 2010 to open 40 Hands, a café in Tiong Bahru, with their support. We chat with Grover about building a working culture, how passion is overrated, and… coffee. 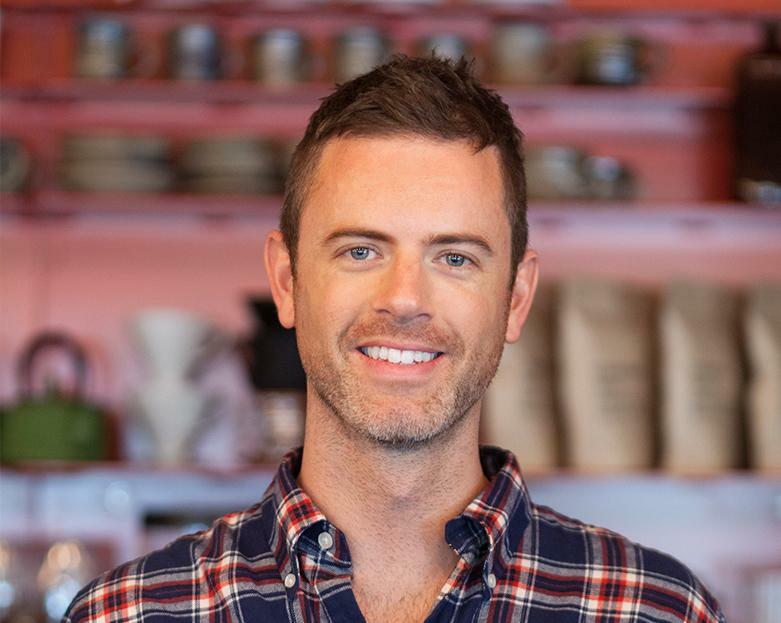 Tell us about the story behind Common Man Coffee Roasters. 40 Hands was a good learning experience for me (and where I made my bones in Singapore). I was on the right track with it, but I wanted to go deeper and build a world-class café and roaster in Singapore. I was inspired by [his now partner, Australian wholesale coffee roaster] Five Senses’ way of doing business — not so much how they roast and sell coffee, but how they built a definitive working culture and ethos. We have a pretty simple mission: “Supporting people to be their best and to have a positive impact on the world.” This may not sound very specific to coffee, but we value everyone’s contribution in our organisation, from the delivery drivers and accounting staff to the line cooks and baristas. The basic principle for managing people is, always be kind; your professional development is intrinsically linked to your personal development; and, passion is overrated — it’s not enough to get you where you want to go. People are successful because they develop good systems. Having a passion or an interest in the subject matter of your business is a privilege and a luxury. Also, it’s a cliché, but you really do learn the most from your failures. And I’ve had some spectacular (and very costly) ones. How do you sustain your work? If you run outlets that are open seven days a week, with literally thousands of people coming through your doors every weekend and all the associated operational, logistical, and staffing problems that come with high-traffic F&B, you need to be really strict about looking after your body so you don’t implode from the stress or burn out. Lots of studies show that day-to-day happiness is much more likely if you look after your body. I try to keep a fairly strict routine of eating well, sleeping at least seven hours a night, and doing lots of yoga and running. What is your favourite way to drink your coffee? We have excellent filter coffees, but for me you can’t go past a perfectly made double shot flat white first thing in the morning. Having established the Common Man brand and a loyal customer base here in Singapore, Grover is now setting his sights overseas, with not only the intention to contribute to the third wave coffee movement across Southeast Asia, but also to give his senior team members the opportunity to be involved in international projects and to continue to develop their careers. Help yourself to a taste of Common Man at TWC; they’ve provided the single origin Ethiopian Yirgacheffe roasting in our pantry on Level 2.